Your case is over but your record remains visible for all to see! Home / Blog / Your case is over but your record remains visible for all to see! If your case was dismissed, you can protect your reputation and rebuild your life through the process of Expunging your North Carolina criminal record (also called Expunction). Even if your case was dismissed a record still remains that is visible to future employers, current employers, customers, landlords, colleges, insurers and anyone else who might do a check on your record. If you worked with your attorney to negotiate a dismissal of your criminal charge or are found not guilty at trial your criminal arrest record will still remain. Even if you get a voluntary dismissal the original criminal charge will always be on your record. If your record is expunged then all searches of your record will show a clean criminal record and a clean public arrest record. 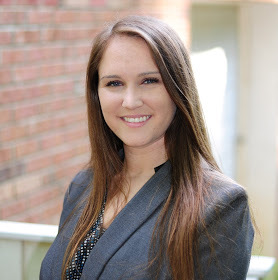 Contact NC Expungement Lawyer Melissa Botiglione for a free consultation to see if you are eligible for a North Carolina Expungement. Why do you need a North Carolina Expungement? Expungement when charges are dismissed or there are findings of not guilty. N.C. G.S. 15A-146 provides for expungement of charges in cases that were either dismissed or where a person was found not guilty. The person cannot have any felony convictions on their record. An individual is only allowed to use this kind of expungement as many times as they want since the law changed on December 1, 2017. This is a great Expungement to use if your cases was dismissed under N.C. G.S. 90-96 (Conditional Discharge of First Time Drug Offenders). Am I eligible? You can us a dismissal expungement as many times as you want under current law as long as you don’t have an active case or a felony conviction. Ask our law office for a free case evaluation and we’ll tell you if you’re eligible or not. When are you eligible? Any age. Fees? No filing fees for most dismissed case. A filing fee of $175 for court costs applies when the case is dismissed as a result of a formal deferral program where a judge has signed the deferral contract (i.e. 90/96). Call 1 (919) 585-1486 for a free consultation with North Carolina Expungement Lawyers Wiley Nickel & Melissa Botiglione. If you do not qualify for an expungement you may qualify for a Certificate of Relief.